Home > Digestive-Internal-Organs > IBS > Are You IBS Aware? April is IBS Awareness Month. The concept behind it is to raise awareness about the condition and any signs of discomfort associated with it. Believed to affect 1 in 10 people, the more severe symptoms that may go unnoticed include lower back pain and headaches. 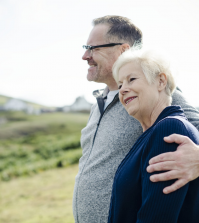 While the cause is unknown, IBS is more likely to occur following a stressful or traumatic life event. Moreover, it may also be due to an infection or even due to age. 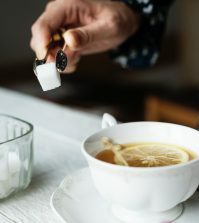 When there is a dysregulation between the brain, the gut and the central nervous system, this is when the bowel can become irritated or overly sensitive to stimuli. These symptoms can even be the response to normal events. 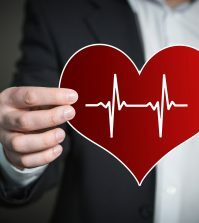 Symptoms that are not obvious characteristics of Inflammatory Bowel Syndrome include anemia, blood in the stools, unexplained weight loss and fever. Regardless of the symptoms, it can be an embarrassing problem for sufferers. This is especially because no tests can precisely confirm the diagnosis of IBS. In addition, more extensive testing is for more specific situations. 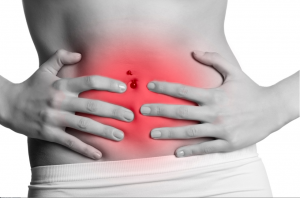 The abdominal pain associated with IBS is often a sharp, dull or gas-like pain. This can sometimes only feel better after a bowel movement. A change in the consistency or frequency of the bowel habits can also have an impact. Generally there is a pattern to the symptoms of IBS and their occurrence is not random. Serrapeptase can help to improve the symptoms of IBS by breaking down dead tissues and excess fibrin. Once the body clears out the dead tissue and fibrin growths, it can naturally start to heal itself. Serrapeptase is proteolytic enzyme derived from the silkworm but now manufactured synthetically in a laboratory. 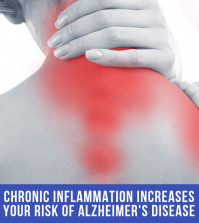 It is highly effective at relieving various kinds of inflammation in the body. It can also be used to provide pain relief for the various symptoms of IBS and other related health conditions. Thus, it is a natural and safer alternative to NSAIDs like Aspirin and Ibuprofen, etc. Anyone looking to improve their condition should consider taking serrapeptase. It is helpful to take it as a part of a dedicated health plan. See the IBS Health Plan here and follow a really healthy diet and lifestyle for best results. Below are the highly effective Serrapeptase formulas for improving the symptoms of IBS. Require more personalised health coaching to assist with your digestive health worries? Please contact Good Health Coaching Centers here. 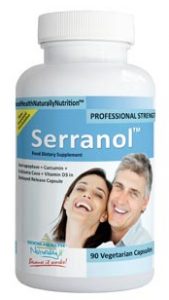 Serranol from Good Health Naturally is the Serrapeptase formula to try for anyone who wants to improve their health condition. It contains CurcuminX4000™, Ecklonia Cava Extract and Vitamin D3 in one vegetarian capsule. These ingredient help to boost the anti-inflammatory effects alongside the Serrapeptase. 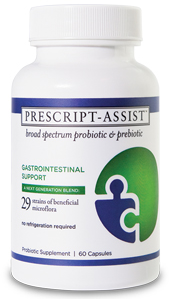 Prescript-Assist® is an effective vegan probiotic supplement available from Good Health Naturally. It contains over 29 probiotic microflora, uniquely-combined with a humic/fulvic acid prebiotic to enhance SBO proliferation. In addition, it can help to support good digestive health in the long term. I have taken Serrapeptase and my chronic pain of more than 30 years (yes thirty years) is melting away. Serrapeptase is a Miracle. Home > IBS > ¿Estás Consciente Del SII? El Síndrome del Intestino Irritable (SII) es una afección a largo plazo del sistema digestivo. Puede resultar en episodios dolorosos de calambres estomacales, hinchazón, diarrea y estreñimiento, entre otros problemas.